The past week has been rough. And when things get rough, I tend to crave comfort foods such as fresh chocolate chip cookies from the oven, a homemade roast chicken with mashed potatoes, even something as simple as scrambled eggs on toast. But this time I found myself wanting vanilla ice cream. My grandfather passed away last week after a debilitating stroke. It’s been awhile since there has been a death in our family, so this hit all of us pretty hard. I consider myself very lucky to have had as much time with him as I did, and I am thankful he got to meet my fiancée a couple of times as well. One of my fondest memories of my grandfather was his love for ice cream. He never had that much of a sweet tooth so you wouldn’t find him eating cookies, or cakes or brownies, but he loved a bowl of vanilla ice cream with some fruit on top after dinner. And if it was the holiday season, then it would be peppermint ice cream. My parents would joke that when he came to visit from Colorado they would need to get him his own carton of ice cream because he ate so much. As luck would have it, one of my lovely friends recently gifted me with an ice cream maker for my birthday, so I decided to make my first ice cream a vanilla one in his honor. Only I decided to change it up a bit and make a coconut vanilla ice cream instead. 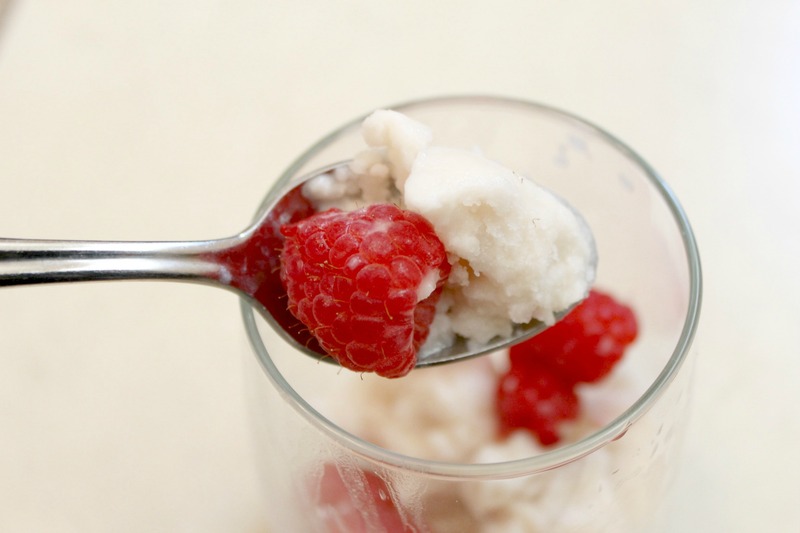 This coconut vanilla ice cream is super easy to make and requires minimal ingredients. Just coconut milk, vanilla extract, and powdered sugar. Combine your coconut milk, powdered sugar and vanilla in a blender or food processor and pulse 2-3 minutes. Pour your mixture into your ice cream maker and follow according to your manufacturer’s directions. I have the Cuisinart Ice Cream maker so I left the mixture in the ice cream maker for 15 minutes. 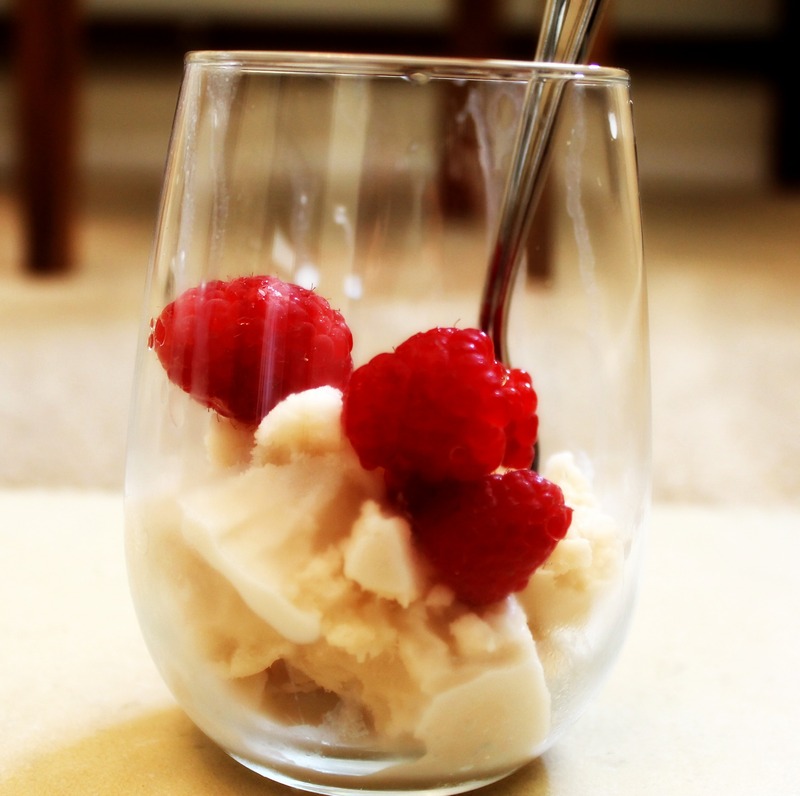 Place your ice cream in the freezer for at least 6 hours so it can firm up a bit, and then enjoy. Since my grandfather loved to have fruit with his ice cream, I topped mine with fresh berries. And although it wasn’t quite the same as the vanilla ice cream he always enjoyed, I think he would’ve really liked this. Thanks for the recipe inspiration grandpa. I will miss you. 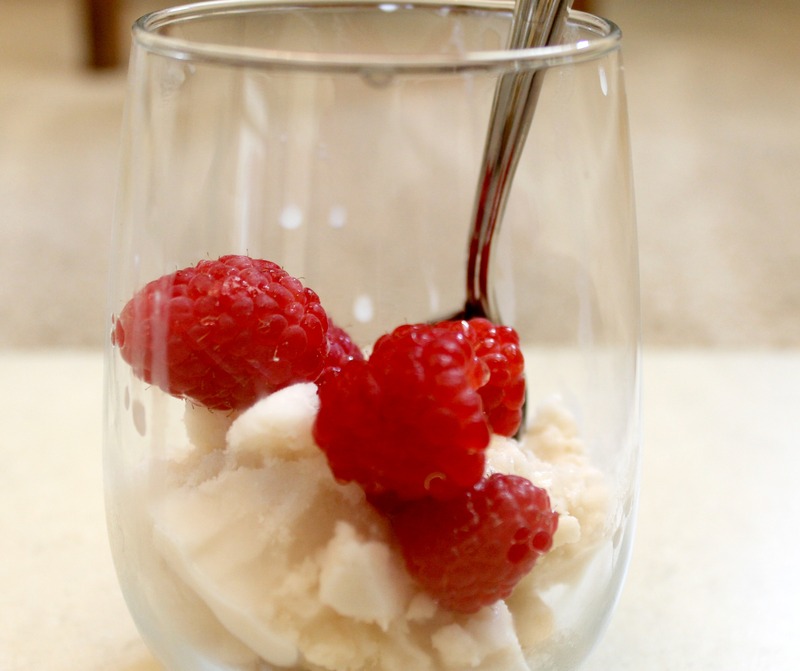 This entry was posted in Dessert, Gluten-Free, Life, Vegan and tagged homemade, ice cream on August 26, 2013 by allie@sweetpotatobites. Before I even landed in Portland, I knew I needed to have Salt and Straw Ice Cream, and after reading this review on The Kitchn, it was a done deal. 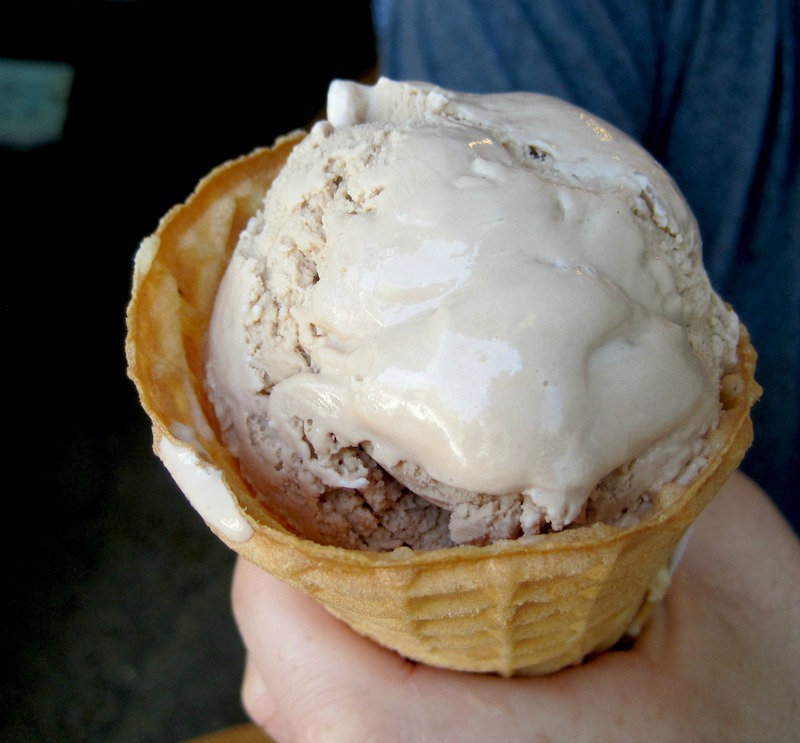 One of the things that attracted me most to Salt and Straw was the fact that all of their ice creams are made from scratch, and free of artificial sweeteners and preservatives, which is hard to find. I often find myself missing out on summer ice cream cones because all the ice cream shops near me use corn syrup as a sweetener. 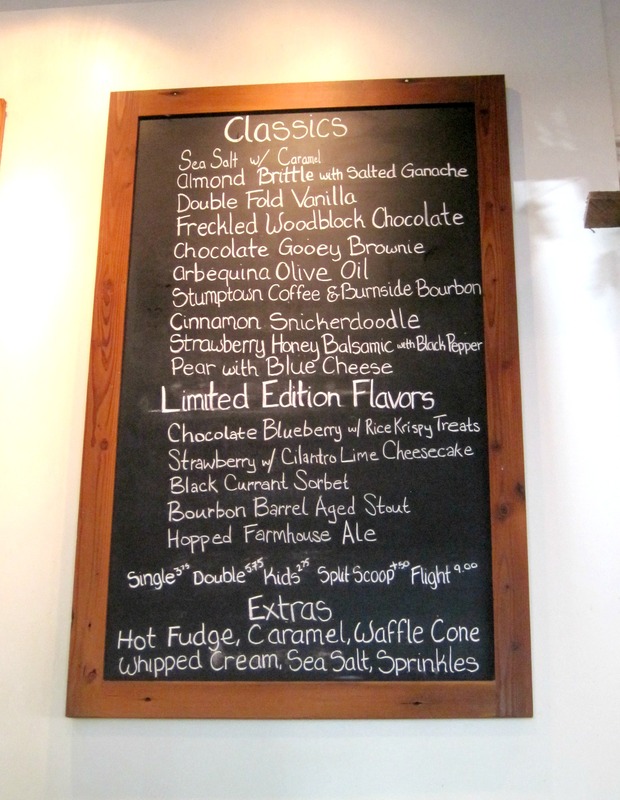 Salt and Straw also has a lot of unique ice cream flavors such as the Goat Cheese Marionberry Habanero, Grandma’s Almond Brittle with Salted Ganache, and the famous Arbequina Olive Oil, which Oprah declared as one of her favorite things. We decided to check out Salt and Straw after a hot morning of hiking and wandering through the Portland International Test Garden. The Nob Hill location wasn’t too far from where we were, so we headed over there to cool off and enjoy some Salt and Straw Ice Cream. As soon as we stepped into the shop, I immediately scanned the menu. Salt and Straw allows you to sample as many flavors as you want, so we took advantage and tried a few tastes before committing to a purchase. My first taste was the Cinnamon Snickerdodle, complete with house made snickerdoodle cookie crumbles. This ice cream was delicious – I loved the cinnamon crunch from the cookie bits. I still wasn’t ready to commit to a flavor, so I tried the Freckled Woodblock Chocolate next, which is made with cocoa beans and sugar. Again, it was an outstanding choice, but I still wanted more. I finally decided to try the Arbequina Olive Oil ice cream since it was Oprah’s favorite and all. After one bite I immediately saw how this was Oprah’s favorite. The ice cream had a nice olive oil flavor to it and had just the right amount of salt to balance out the sweetness. I know olive oil ice cream sounds totally weird, but it was amazing. I immediately ordered a scoop. The Englishman went a different route with his ice cream sampling. After enjoying a Bourbon Barrel Aged Stout sample, he decided to keep with the bourbon theme and got a cone filled with Salt and Straw’s Coffee and Bourbon flavor. I stole a couple bites of his and loved the coffee and bourbon combination. It was a really interesting flavor (in a good way!). Out of all the places we visited in Portland, Salt and Straw Ice Cream definitely lived up to the hype. Everything we tasted in there was delicious, the staff was friendly and the ice cream was reasonably priced. 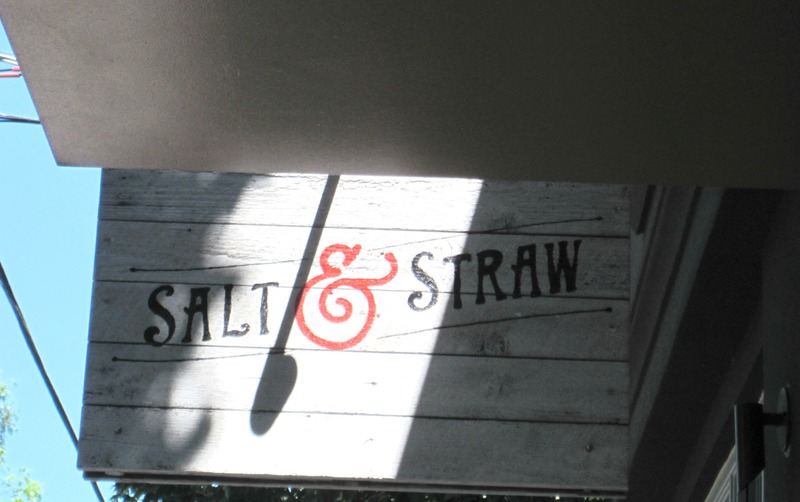 If I could only recommend one place in Portland, Salt and Straw would definitely be it. 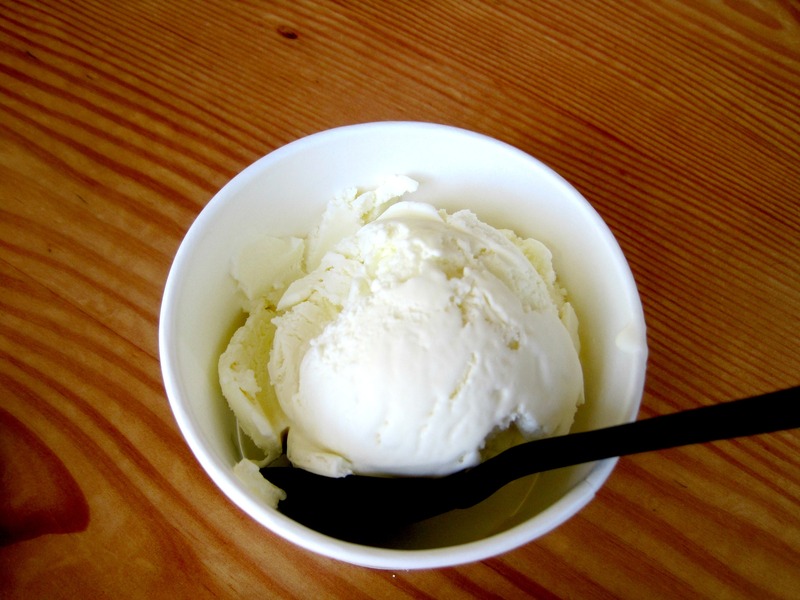 And get the Arbequina Olive Oil ice cream. Just trust me. This entry was posted in Best Of, Dessert, Gluten-Free, Good Eats and tagged ice cream, Portland, treat on August 19, 2013 by allie@sweetpotatobites.